A root canal is a common yet often feared and misunderstood procedure for saving a tooth. A root canal becomes necessary when decay and infection reach the inside of a tooth. In modern dentistry, root canals are simple and easy, but many people have a lot of questions about this procedure. Here are the top 5 root canal questions and answers. Tooth Pain: Not all teeth that cause pain need root canals, but pain with a throbbing “heartbeat” rhythm is common in teeth that need this procedure. The pain could range from annoying to excruciating, and it might change when standing up, lying down, eating, or brushing your teeth. Swelling: From a tiny tender spot on your gum line to noticeable puffiness in your neck, swelling is a common sign of infection, and could indicate that you need a root canal. Dental swelling may go away on its own, but the infection in a bad tooth generally lingers. Temperature Sensitivity: Known as dentin hypersensitivity, sensitive teeth can have many causes. New sensitivity in one or two teeth, though, may be the only outward sign that you need a root canal. Root canals do involve the deepest and most sensitive parts of the tooth. With modern dental techniques and pain management, though, root canals are virtually pain free. In fact, those who have had a root canal tend to rate them as “painless,” while those who have not had one tend to imagine the worst. Most people are back at work that day or the next day. Can Root Canals Cause Illness? Questionable research in the 1920s claimed that root canals could cause illnesses throughout the body. This was debunked in the 1930s and definitively rebuked by the Journal of the American Dental Association in 1951, but the myth persists. In reality, a root canal actually protects the tooth from invasion by the naturally-occurring bacteria in the mouth. With no way to enter the tooth, bacteria cannot take hold and cause systemic illness. Some people feel that the expense and imagined pain of a root canal mean that extraction is a better option. However, even though modern dentistry has come a long way in designing durable and aesthetic replacement teeth, they cannot fully match your own natural tooth. If the tooth can be saved with a root canal, it should be. A root canal is surprisingly simple. First, we will thoroughly numb your tooth with local anesthetic. Then, we will drill a small hole through the tooth to expose the root chamber. Using a series of files, we will clean out all decay, infection, and damage, and then smooth the canals. If needed, we will place a post to support the tooth before filling it up with a biocompatible material. The tooth will then be crowned to further protect it. 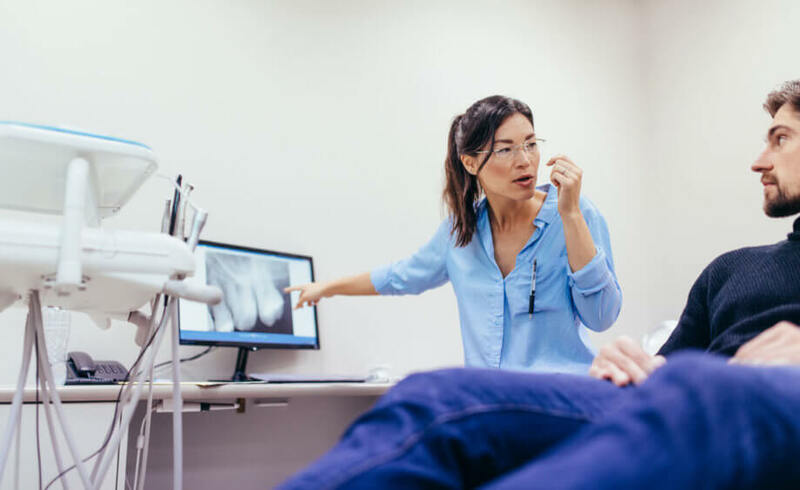 Teeth that need root canals are often quite painful, and many people feel a lot better as soon as the procedure is over. You may have some sensitivity or discomfort for a couple of days, which can be relieved with over the counter pain medicines and taking care to avoid chewing directly on the tooth. You should feel just fine within two or three days, but if you do have any lingering pain, please call us immediately for assistance. If you need an endodontist, please contact Lindemann Root Canal Specialists today at 810-732-7900 to schedule your appointment.